Mayor Mike Inman discusses the upcoming fiscal year at the Macomb City Council meeting on Monday night at City Hall. The Macomb City Council began their biweekly Committee of the Whole meeting with a public hearing for the city of Macomb’s fiscal year 2017-2018 budget. 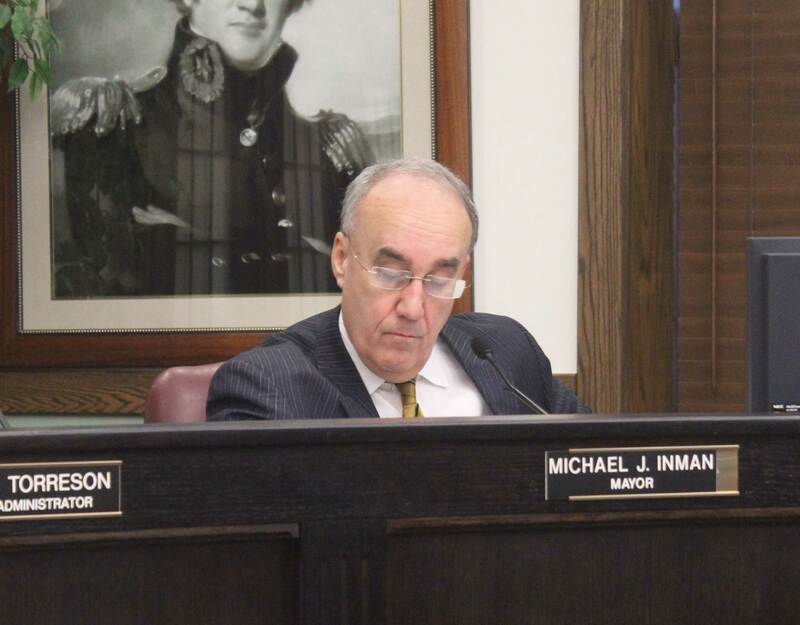 Mayor Mike Inman said the Illinois state law mandates that the City Council conduct a public hearing for the upcoming fiscal year. The current fiscal year ends at the end of this month. 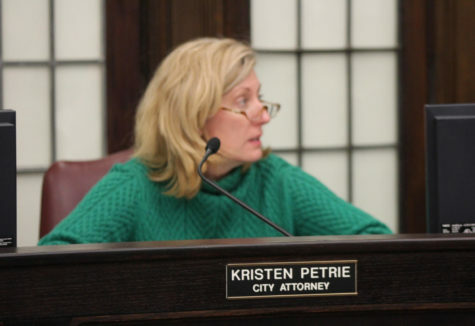 An ordinance to create a Class R (Restaurant) plus SS (Sunday Service) and EH (Extended Hours) liquor license for Wingmen V, LLC d/b/a Buffalo Wild Wings was moved for final approval in next week’s City Council meeting. Buffalo Wild Wings already possesses a Class R plus SS and EH liquor license, but since a change in ownership is taking place, the new owners are required to renew the current liquor license. Further discussion on the engineering service agreement with McClure Engineering for the Candy Lane water main replacement project was also approved in Monday’s Committee of the Whole meeting. In recognition of AmeriCorps and Vista, the City Council recognized all of the volunteers by issuing a proclamation. Mayor Inman added that the AmeriCorps and Vista programs are in jeopardy given the state and federal budget situations. The next City Council meeting will take place on Monday, April 17 at 7 p.m. in City Hall.